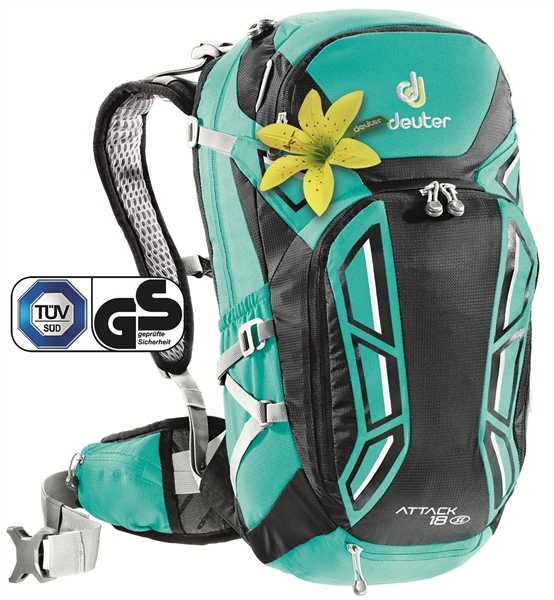 Product information "Deuter Attack 18 SL mint black"
The patriarch of the family Attack has reinvented itself! In its interior it bears the most advanced Protector: For optimal protection combined with low weight. The shoulder straps and the hip fins have we - refined - in collaboration with professional mountain bikers. They also give the roughest descents optimum grip. Even a rain cover is now firmly integrated. Related links to "Deuter Attack 18 SL mint black"
Customer evaluation for "Deuter Attack 18 SL mint black"